Nanning (simplifeed Cheenese: 南宁; traditeeonal Cheenese: 南寧, Zhuang: Namzningz, meanin 'Sooth Tranquility') is the caipital o the Guangxi Zhuang Autonomous Region in soothren Cheenae. It is kent as the "Green Ceety" acause o its abundance o lush tropical foliage. A coonty seat cried Jinxing wis first established at the steid in AD 318. This acame the admeenistrative seat o a commandery. Nanning wis ance the territory o the Baiyue fowk an acame the caipital o Jinxing Prefectur which wis separatit frae Yulin Prefectur o the Eastren Jin Dynasty. In 589 the Jinxing commandery wis dissolved, an the coonty wis renamed Xuanhua. Unner the Tang dynasty (618–907) the prefectur o Yong (邕州Yongzhou) wis established thare; it wis garrisoned tae control the non-Cheenese destricts in Guangxi an on the Yunnan–Guizhou provincial border. In the mid-9t century the Tang an the Yunnan state o Nanzhao foucht ower it, an efter 861 it wis briefly occupied bi Nanzhao. It remained a frontier prefectur throughout the Song dynasty (960–1279), bein the scene o a rebellion led bi Nong Zhigao in 1052 an thereafter a garrison toun. In the Yuan Dynasty in 1324, it wis renamed Nanning Lu (an admeenistrative diveesion) o Yongzhou Lu meanin "Mey peace maintain in the soothren frontier", hence the name Nanning. Historically, Nanning wis famous for trade, an haed permanent business offices frae ither auries in Cheenae syne the Song Dynasty. Unner the Ming (1368–1644) an Qing (1644–1911) dynasties, it wis a superior prefectur. In the Ming Dynasty Nanning developed intae the commodity distributin centre o the Zuo River an the You River wi the reputation o "Little Nanjing". Opened tae foreign trade bi the Cheenese in 1907, Nanning grew rapidly. Frae 1912 tae 1936 it wis the provincial caipital o Guangxi, replacin Guilin. Early in the 20t century the ceety spilled ower frae the auld walled ceety intae a soothren suburban aurie. In the 1930s Nanning acame the centre o a "model provincial govrenment" unner the warlaird Li Zongren, an a spacious modren ceety wis laid oot. 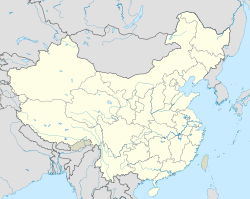 Durin the Seicont Sino-Japanese War (1937–45), Nanning wis temporarily occupied in 1940 bi the Japanese. It subsequently acame an important U.S. air base supportin the Cheenese armies in Guangxi, but durin 1944–45 it wis again unner Japanese occupation. In 1949 Nanning again acame the provincial caipital, first o Guangxi province an then (1958) o the renamed Guangxi Zhuang Autonomous Region. Till then Nanning haed essentially been a commercial centre dependent on Guangzhou an on the Xi River seestem. In the late 1930s a railwey wis begun, jynin Hengyang in soothren Hunan province wi Guilin, Liuzhou, Nanning, an the Vietnam border, while anither wis begun frae Liuzhou tae Guiyang in Guizhou. The construction o the Nanning section o this line wis haltit in 1940 bi the Japanese advances, houiver, an wis nae completit till 1951, efter which Nanning wis directly linked wi central Cheenae; completion o a branch line tae the port o Zhanjiang (in Guangdong) in 1957 gae it a direct ootlet tae the sea. Durin the French war in Indocheenae (1946–54), Nanning wis the chief support base in Cheenae for the Vietnamese forces, an durin the Vietnam War in the 1960s an early 1970s it again acame a stagin post for the sendin o supplies soothward tae North Vietnam. It wis an aa an important militar supply centre durin the Sino-Vietnam confrontation in 1979. Formerly an essentially commercial an admeenistrative centre, Nanning frae 1949 experienced industrial growth. The ceety is surroondit bi a fertile agricultural region producin subtropical fruits an succarcane; fuid processin, flour millin, succar refinin, meatpackin, an leather manufactur are important in the ceety. Nanning haes been a centre for printin an paper manufactur, an it is an aa important in hivy industry. Efter the recognition o the Zhuang ethnic minority in 1958, Nanning acame the chief centre for the trainin o Zhuang leaders. Guangxi Varsity, a lairge medical schuil, an a schuil o agricultur aw date frae the 1920s. A cavern at Yiling, 19 km (12 mi) tae the northwest, haes a 1,100 m passage throu picturesque stalactites. In the 1970s colored lichts wur installed an the cavern wis developed as a tourist attraction. Nanning serves as host for the annual Cheenae-ASEAN EXPO (CASEAN EXPO) which began in 2005 an wis the venue for the 2006 "Warld Robotics Olympiad". Nanning is locatit in the soothren pairt o the Guangxi Zhuang Autonomous Region, 160 km (99 mi) frae the border wi Vietnam. It haes an admeenistrative aurie o 22,293 km2 (8,607 sq mi). The ceety is locatit on the north bank o the Yong River, the chief soothren tributary o the Xi River, an lies some 30 km (19 mi) alaw the confluence o the Yu an the Zuo rivers. The Yong River (which later acomes the Yu River) affords a guid route tae Guangzhou an is navigable bi shallow-draft junks an motor launches, even tho it is obstructit bi rapids an sandbanks. Nanning is situatit in a hilly basin wi elevations atween 70 an 500 m (230 an 1,640 ft) abuin sea-level. Qingxiu Muntain dominates the soothren pairt o toun. Nanning haes a warm, monsoon-influenced humid subtropical climate (Köppen Cfa), wi an annual mean temperature o 21.82 °C (71.3 °F). Simmers are het an humid wi Julie, the hettest month, havin a 24-oor average temperatur o 28.4 °C (83.1 °F). Winters are mild an somewhat damp wi Januar, the cuilest month, averagin 12.9 °C (55.2 °F) in Januar. Frae Februar tae August, rain is maist frequent an relative humidity consistently averages abuin 80%; the annual rainfaw is 1,310 millimetres (51.6 in). The aurie is an aa frost-free for aw but 3 or 4 days a year an snowfaw is virtually unheard o in the ceety. Extreme temperatures hae ranged frae −2.1 tae 40.4 °C (28 tae 105 °F). Nanning's warm climate gies it a lairge amoont o biodiversity. Thare are mony species o ainimals an mair nor 3,000 species o plants. The ceety flouer is the Jaba flouer, an evergreen shrub, an the ceety tree is the awmond tree which is regardit as the backbone tree uised for greenin an landscapin throughoot the ceety. ↑ 2.0 2.1 "Extreme Temperatures Around the World". Retrieved 2013-02-21. Wikimedia Commons haes media relatit tae Nanning. This page wis last eeditit on 11 Mairch 2018, at 05:11.